I happen to be in LUST with a certain cocktail served up at a local watering hole named the Hotsy Totsy. This concoction is made from Tito’s Handmade Vodka, St. Germain Elderflower Liqueur, grapefruit juice and a splash of cranberry. It is refreshing and sooo tasty. What I also love is how they serve it poured over perfectly square 1 1/4 x 1 1/4 inch ice cubes. More and more higher end cocktail lounges are investing in expensive ice cube machines which produce these flawless chunky squares. Not only do they clink satisfyingly in your rocks glass they also produce more surface area than regular restaurant ice makers thereby melting slower and chilling your drink faster. 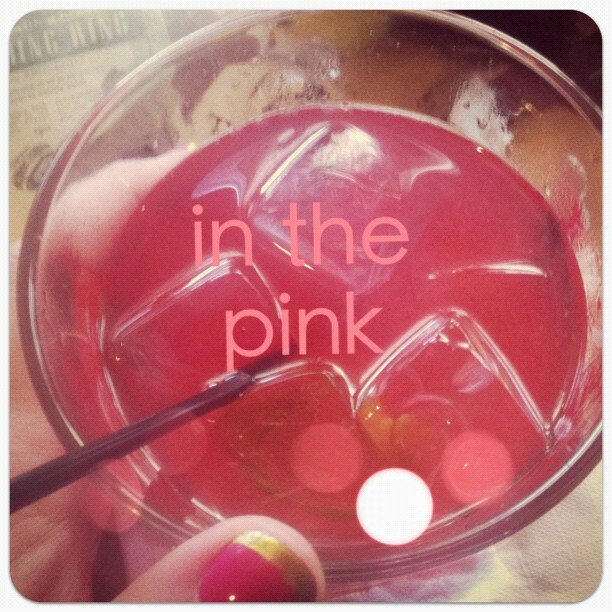 I just enjoy feeling like Betty Draper when I slink around holding my In the Pink cocktail, perfectly pretty and resplendent with it's chunky ice cubes tinkling in my fellow patron's ears. Cheers!